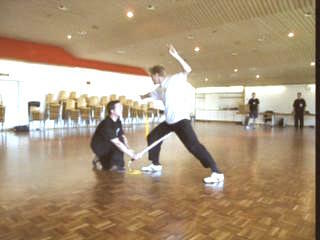 From "situation to pattern", shown in Parts 6 to 11 of this video series of the Traveling Dragon Sword, is one of the two main approaches in learning combat application. The other approach is "from pattern to situation", shown in Parts 12 to 22. 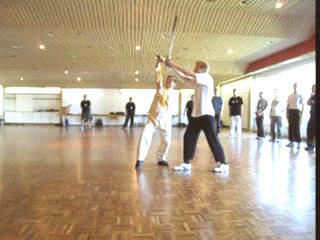 After explaining some fundamental principles and demonstrating some examples, Grandmaster Wong asks the course participants to work out the combat application of some patterns they select. It is heartening that they come out with good results. A few demonstrate some excellent applications. 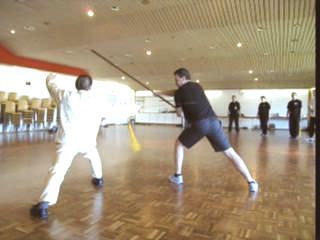 From Patterns to Situations in Sword Application from Wong Kiew Kit on Vimeo.